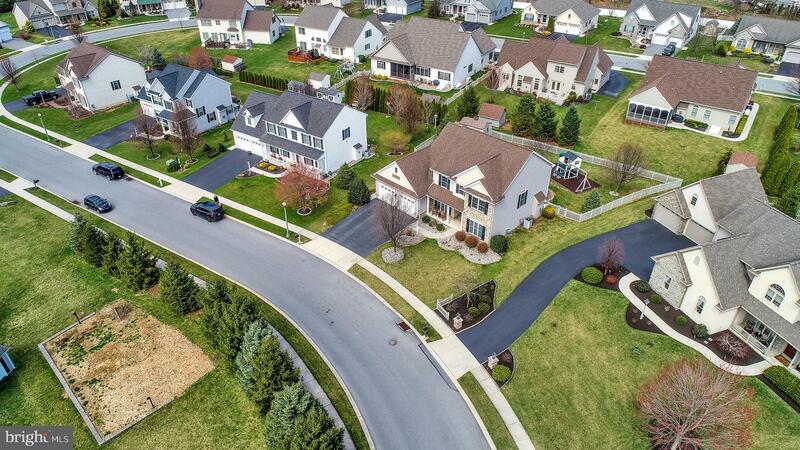 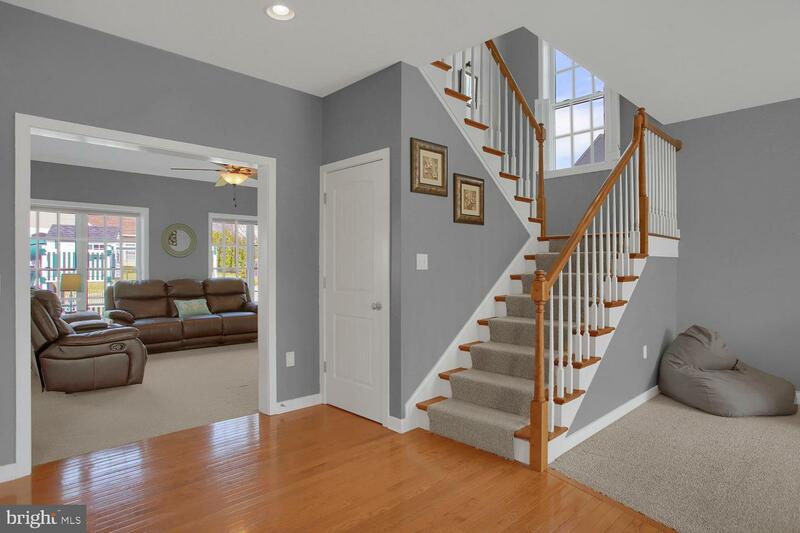 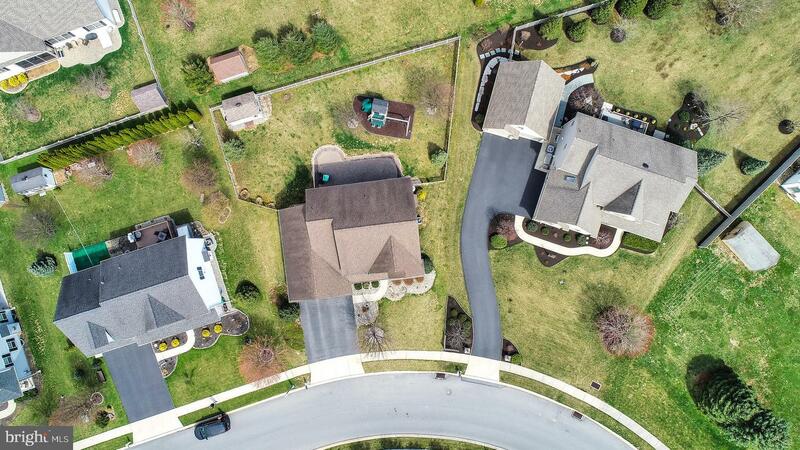 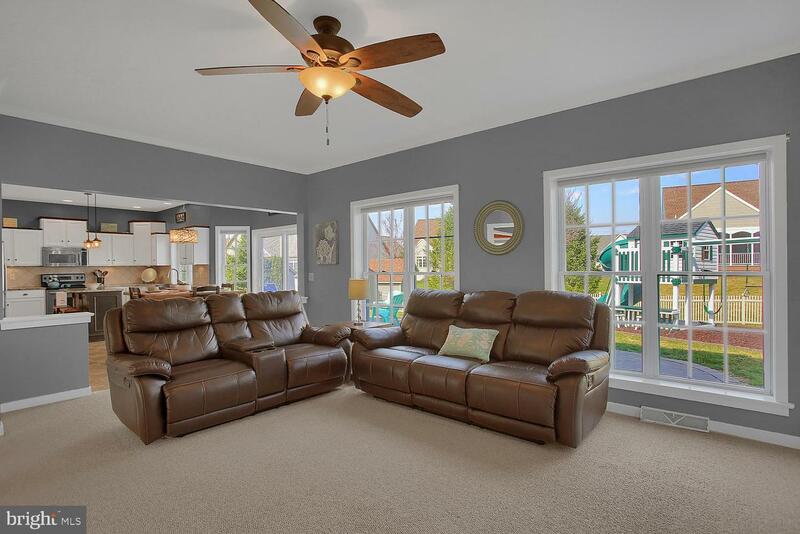 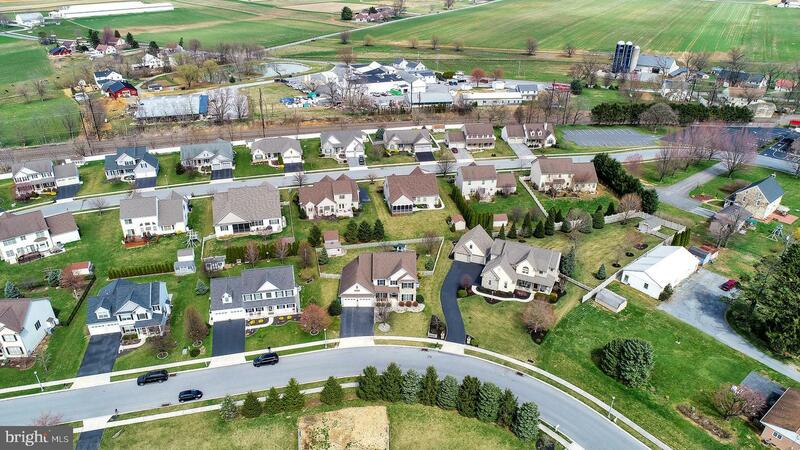 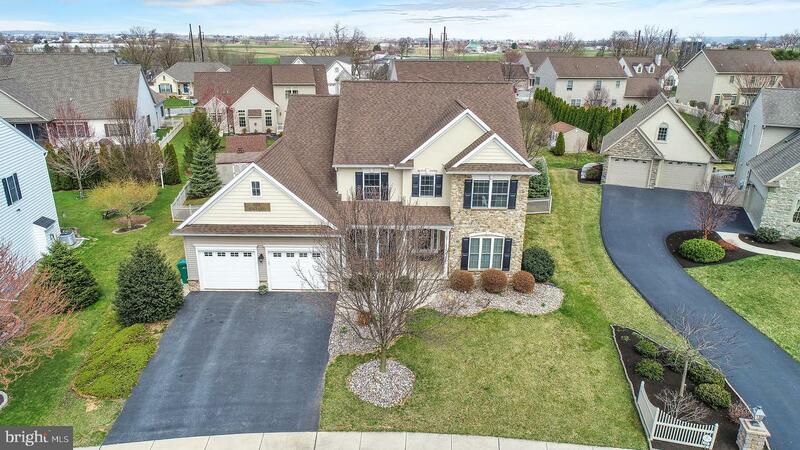 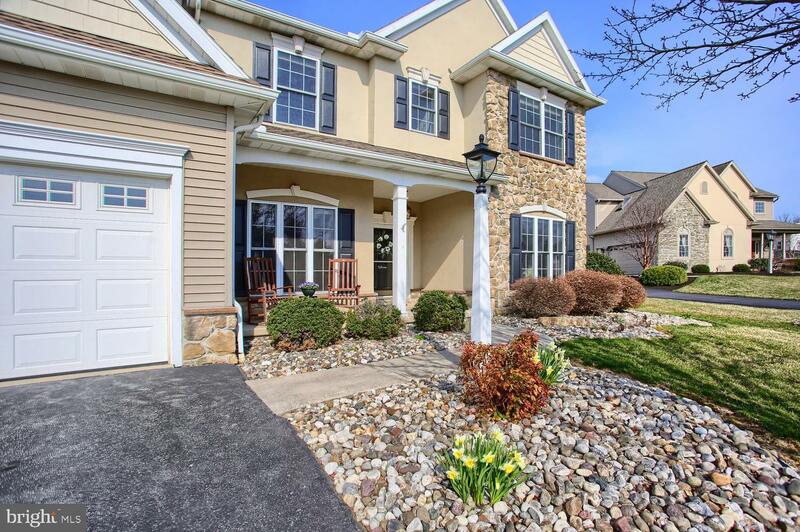 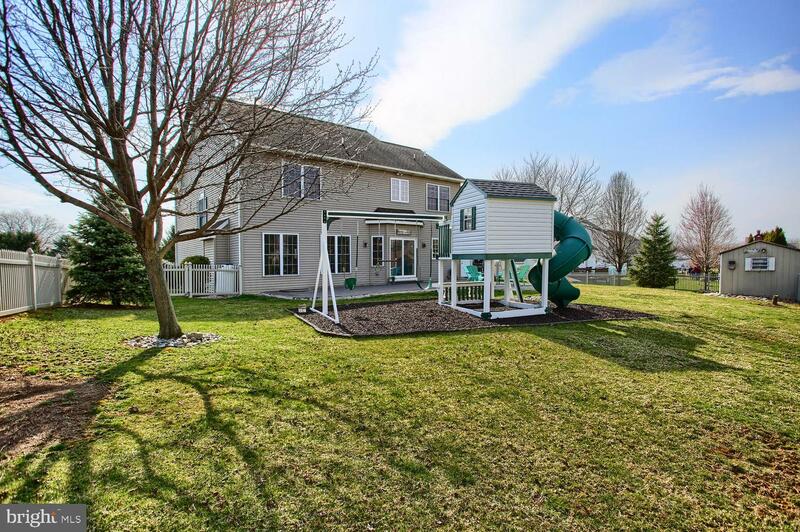 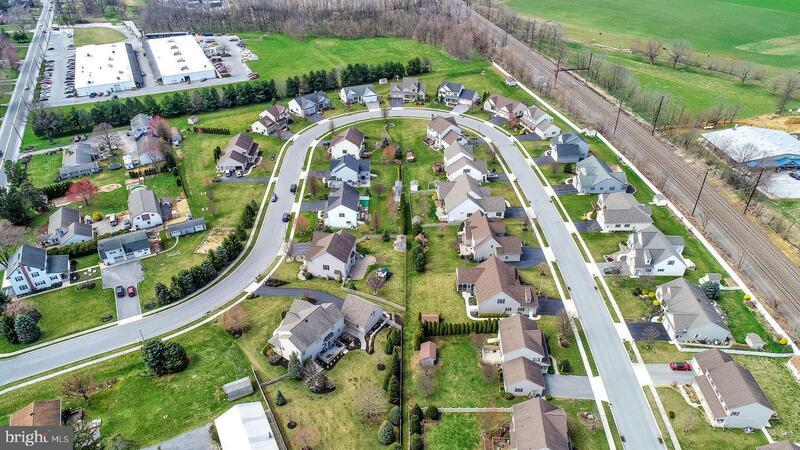 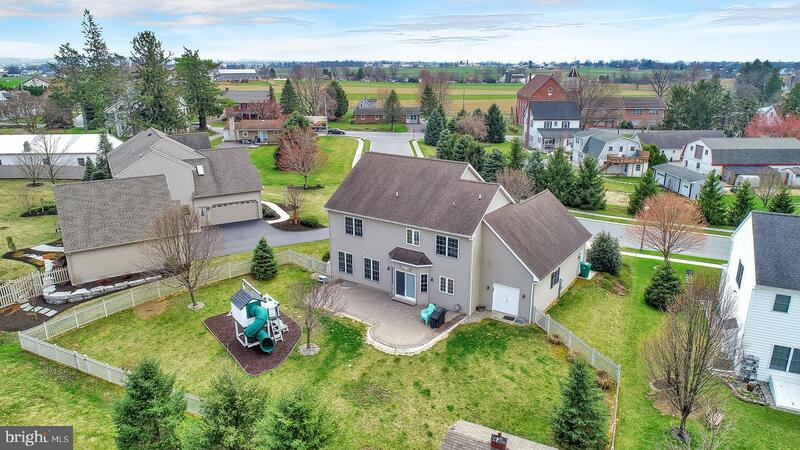 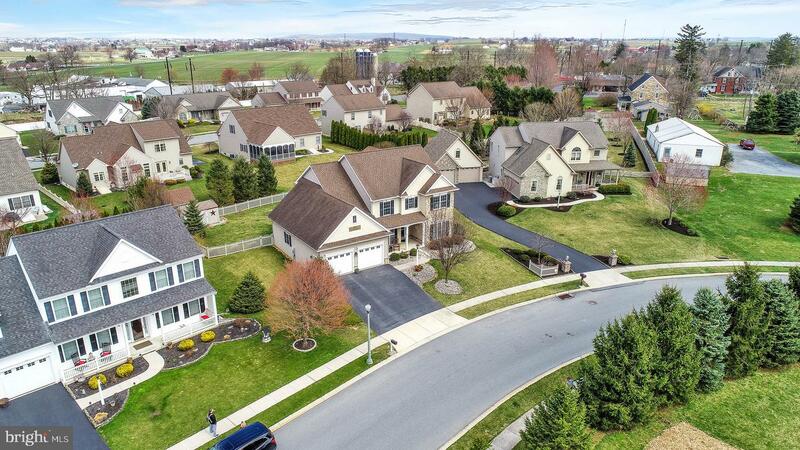 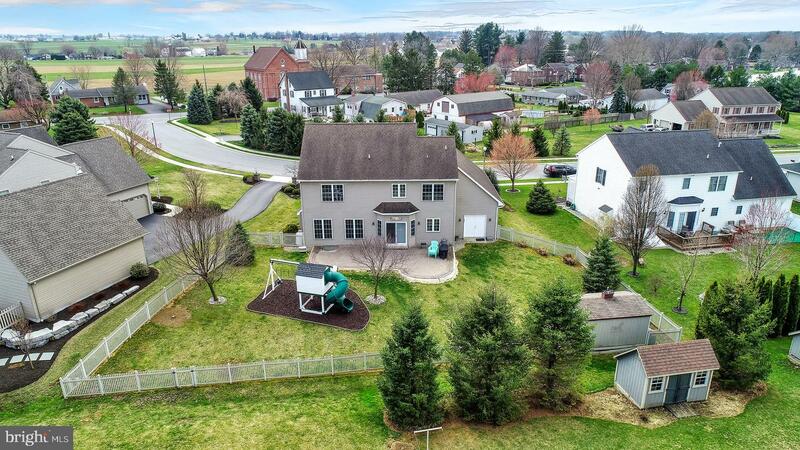 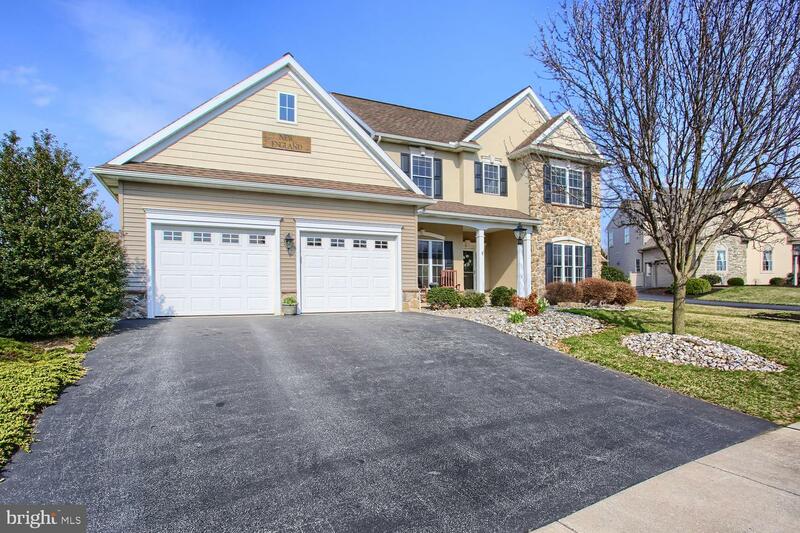 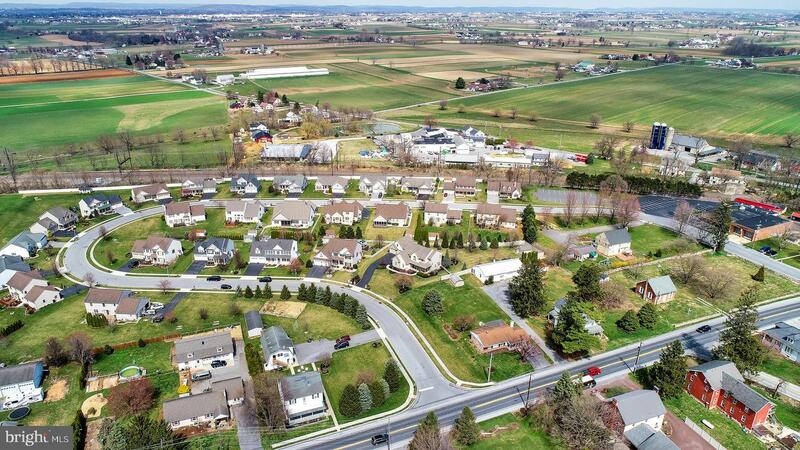 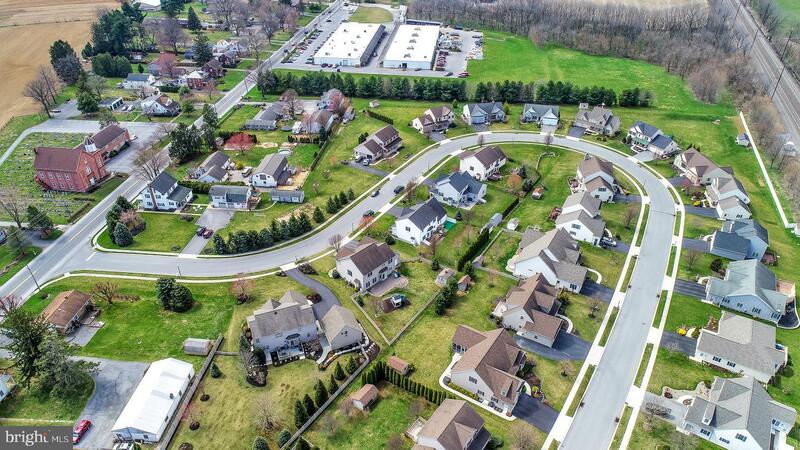 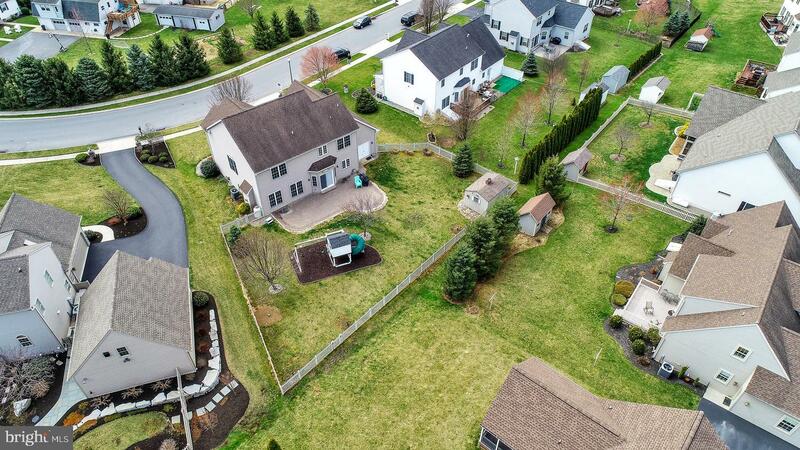 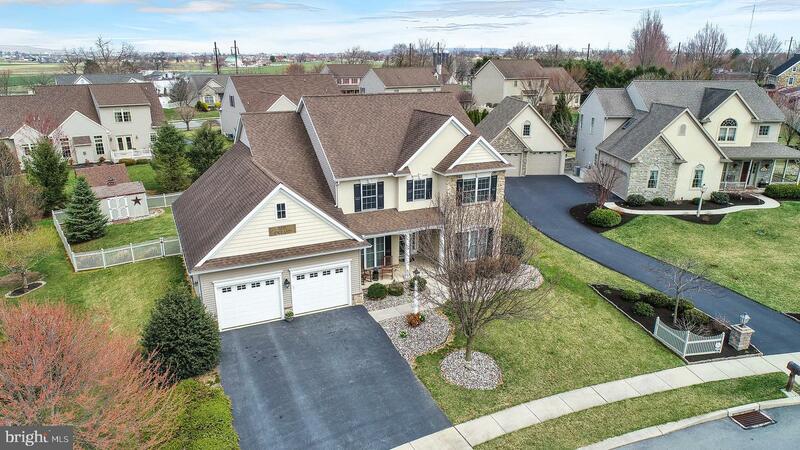 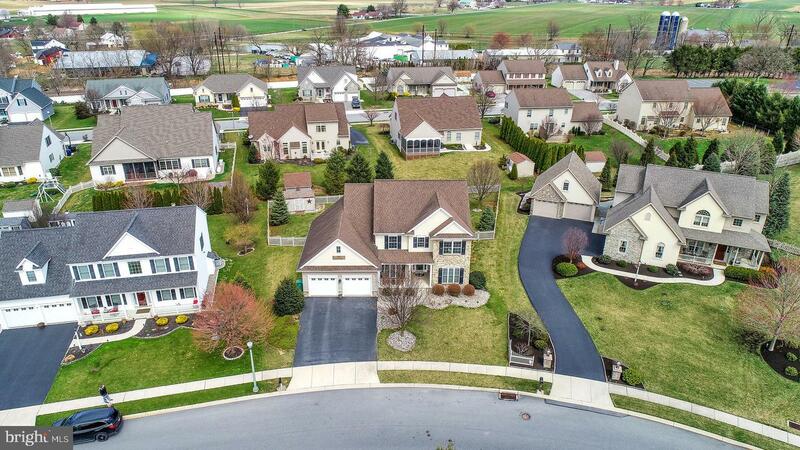 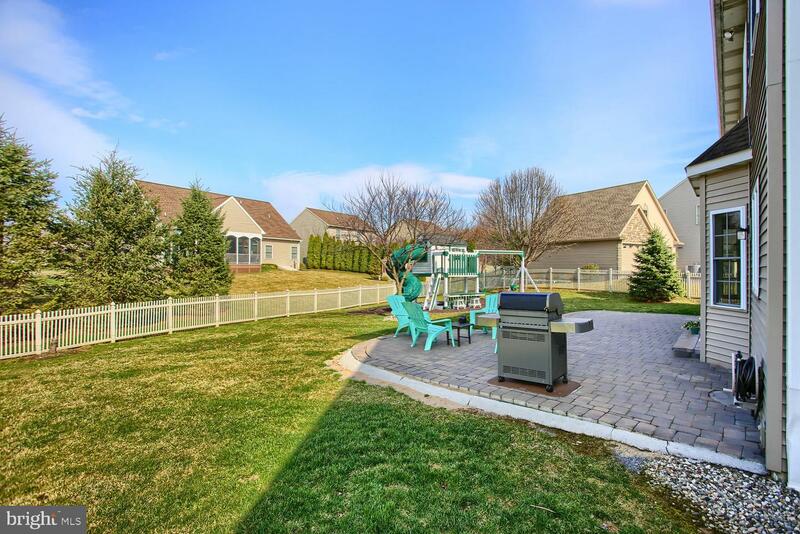 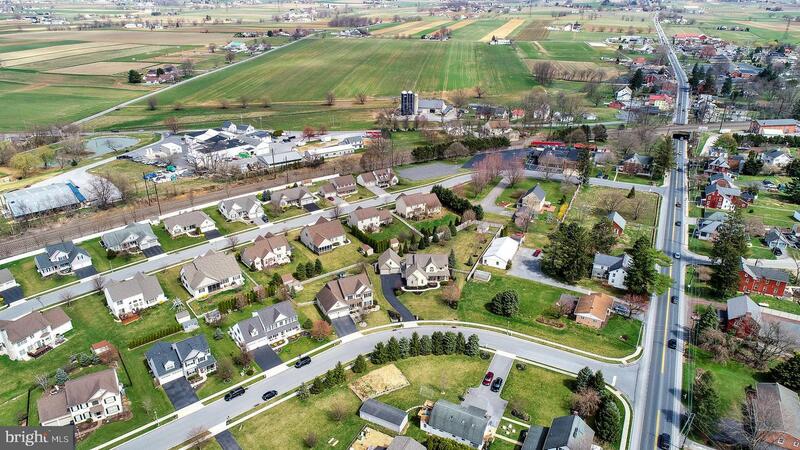 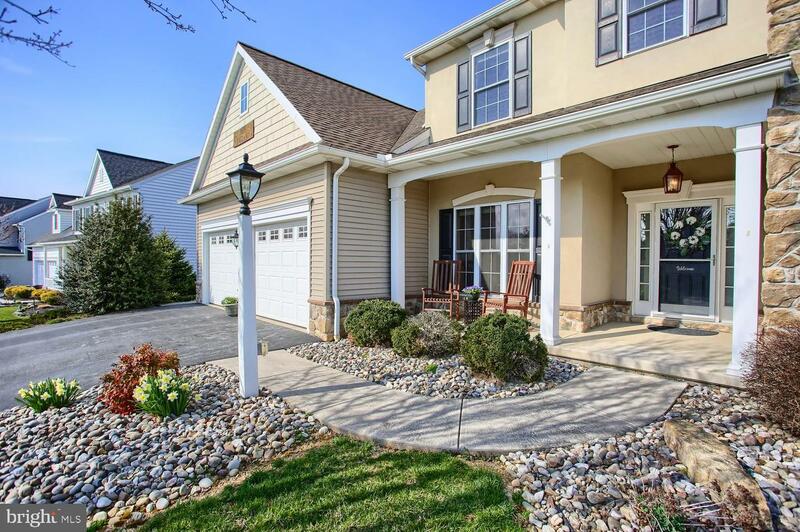 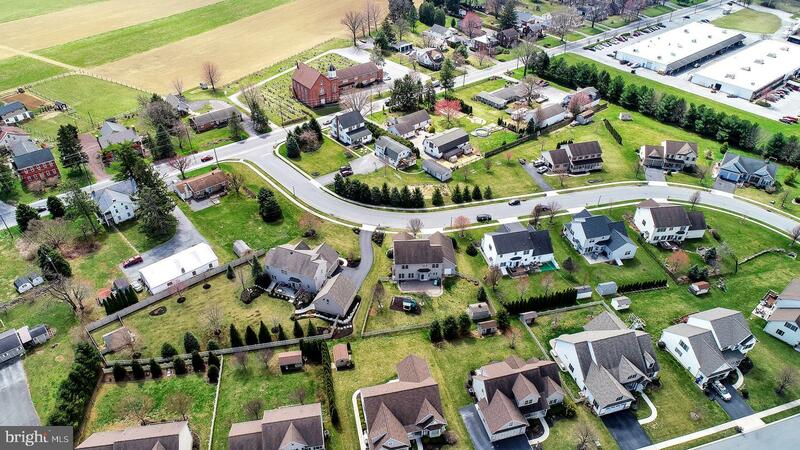 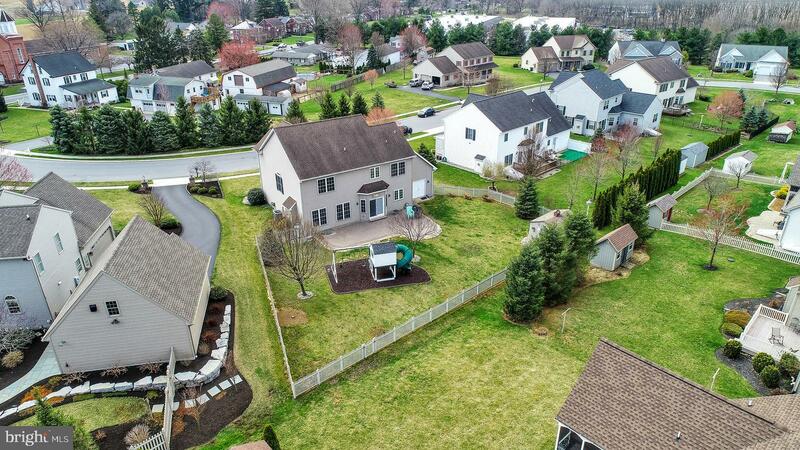 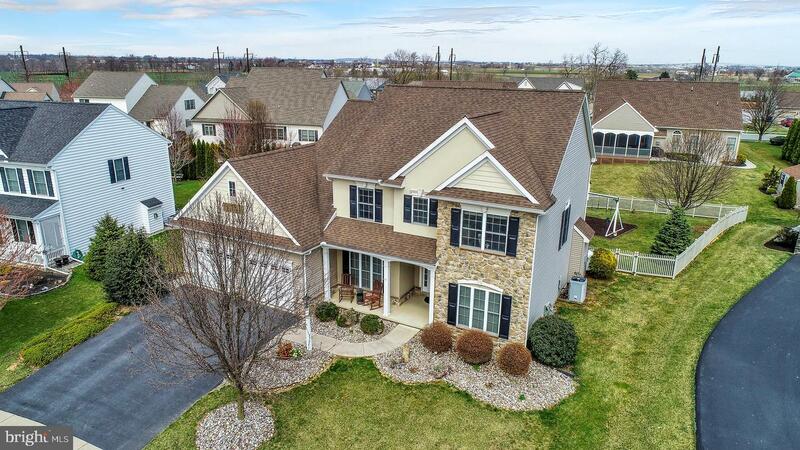 Set in a quiet neighborhood in Lancaster County, this spacious and inviting home displays lovely, mature landscaping that surrounds a welcoming front porch. 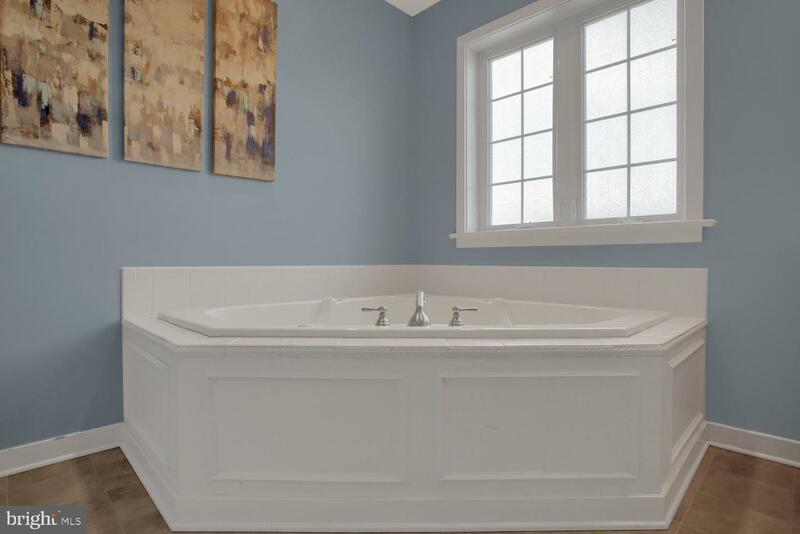 It is just waiting for you to settle into a rocking chair, rest, and let the cares of the day ebb away. 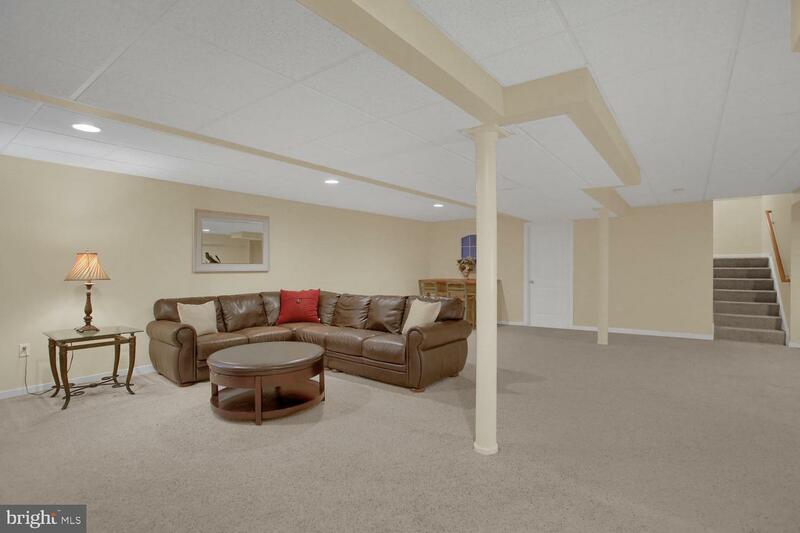 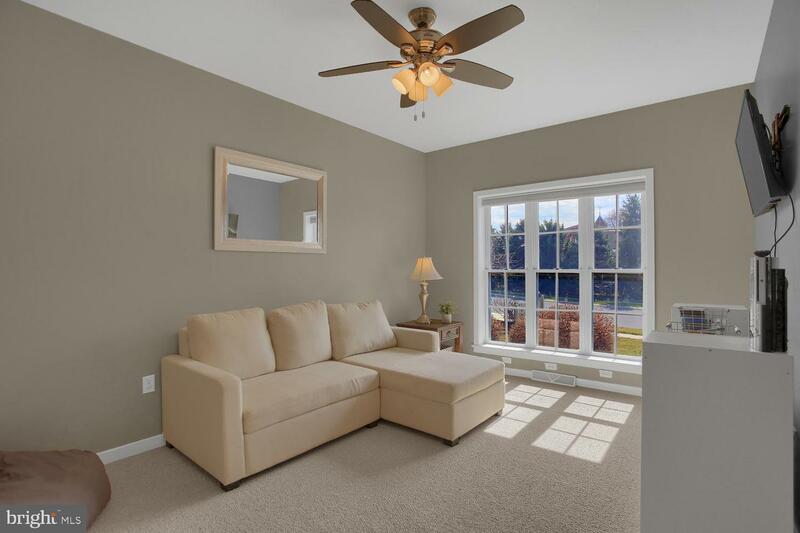 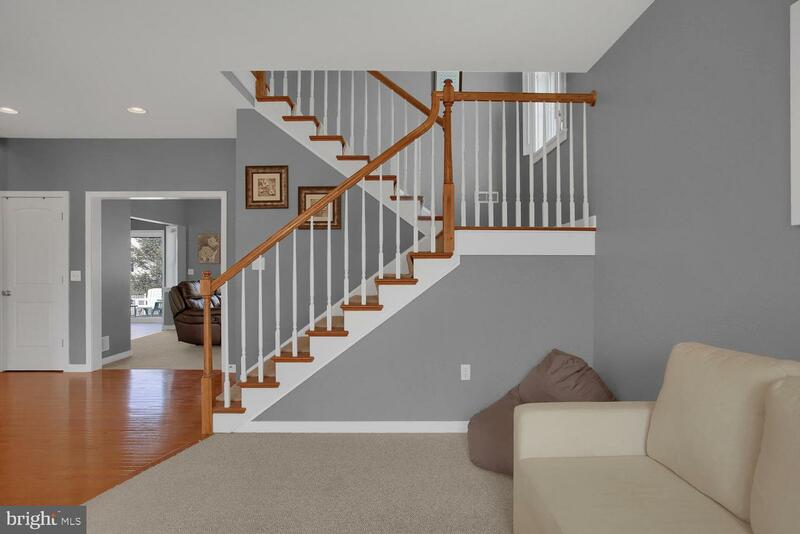 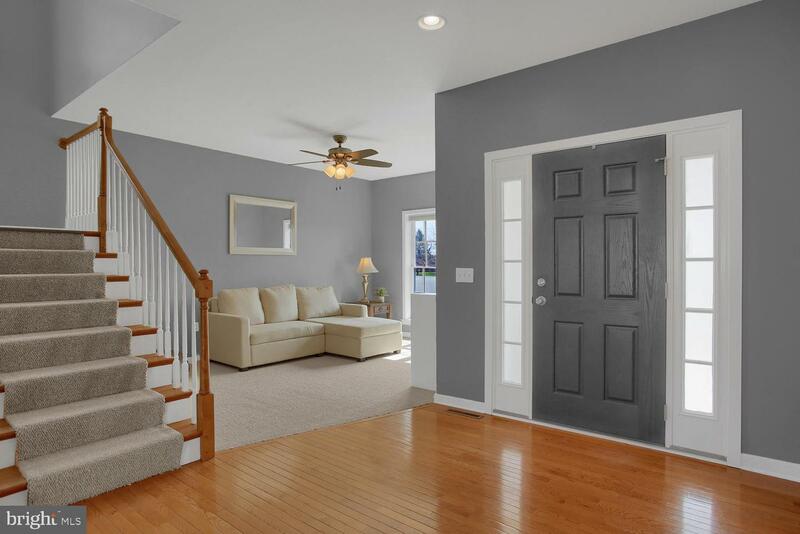 As you come through the front door and into the entryway, turn to your right and you find a family room. 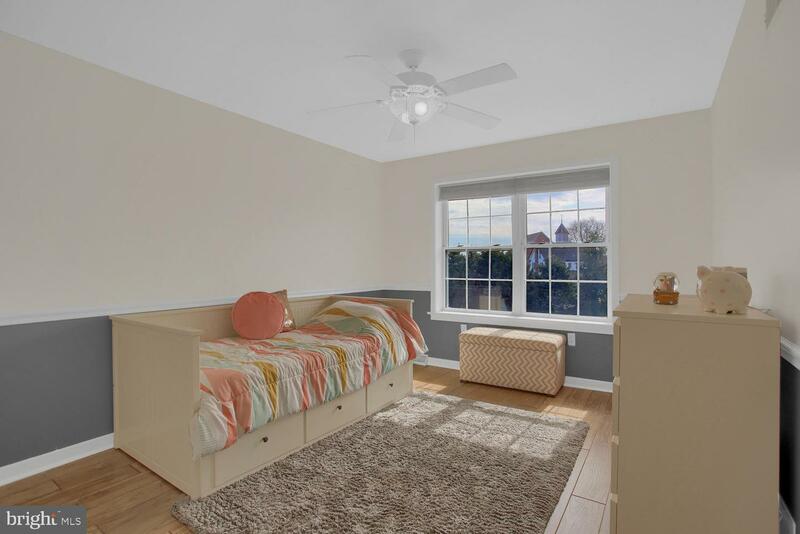 With floor-to-ceiling windows and floods of natural light, it is the ideal space for coffee with a friend or playtime with the kids. 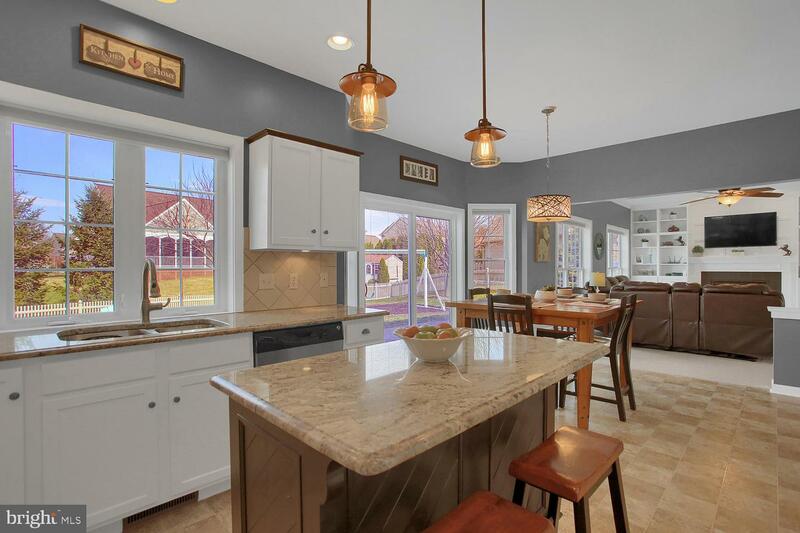 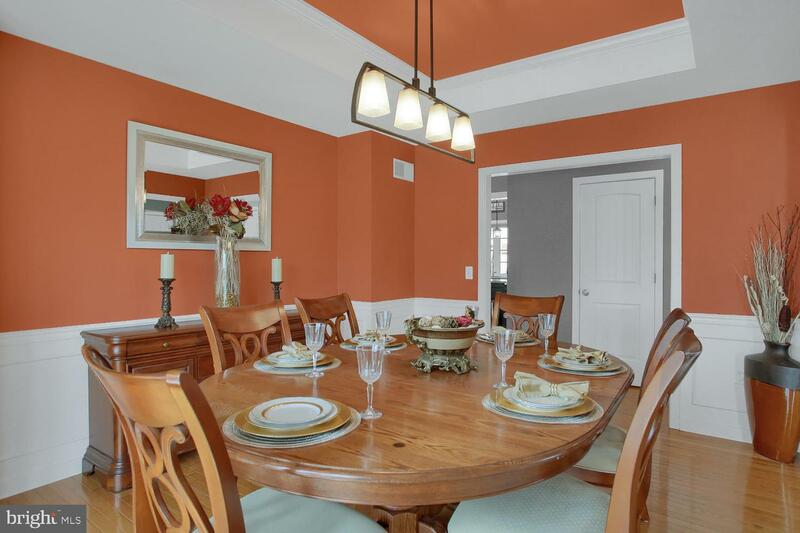 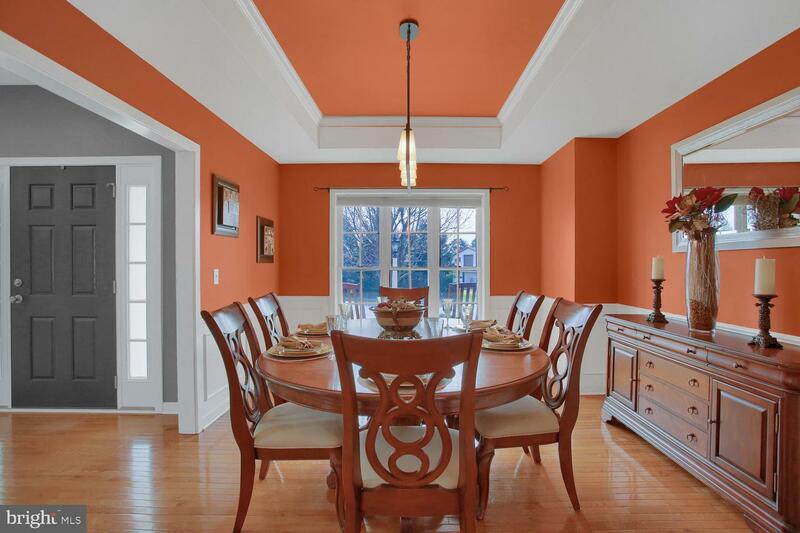 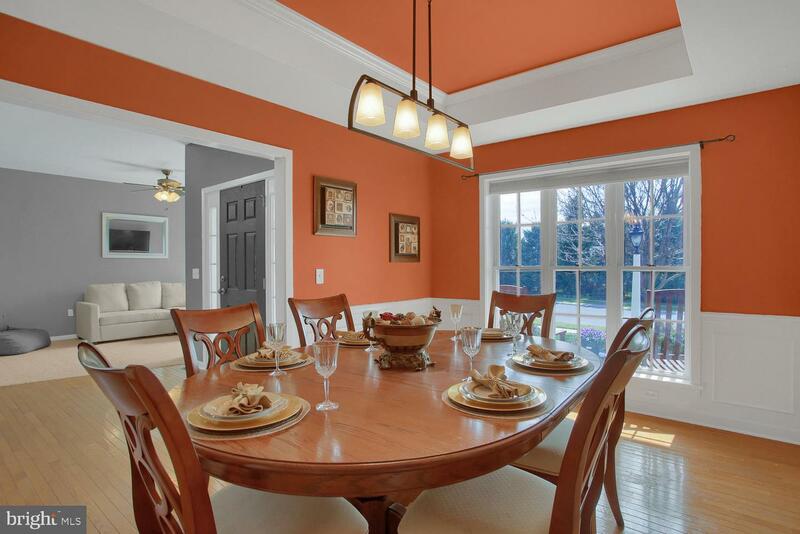 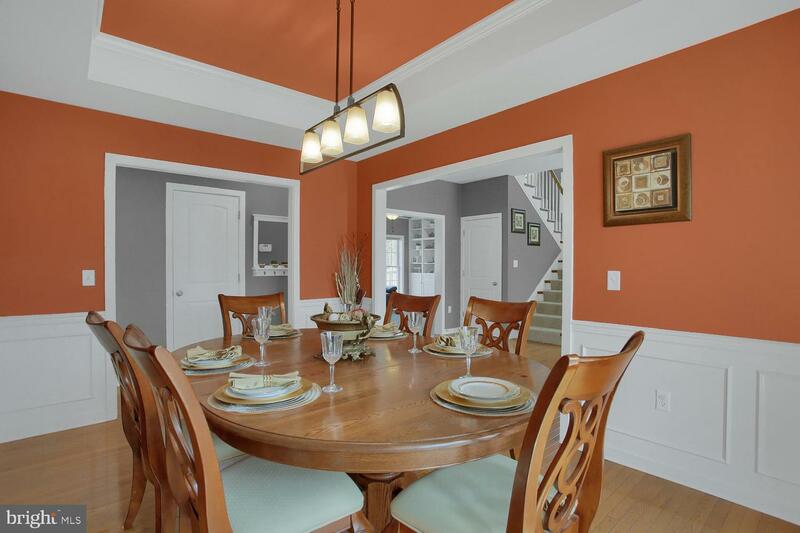 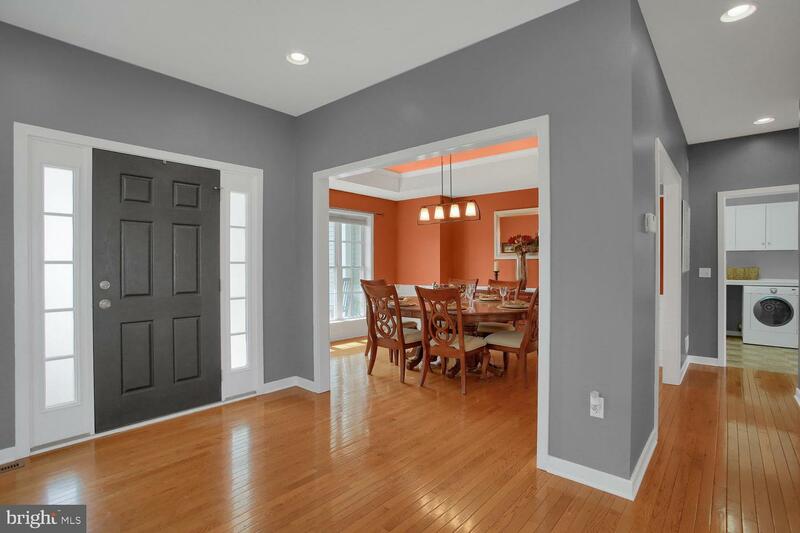 Across the hardwood floors to the formal dining room, the elegant wainscoting, upgraded light fixture, and expansive windows provide ample space for a holiday meal, family celebration, or that cheese-and-wine tasting you've always wanted to host. 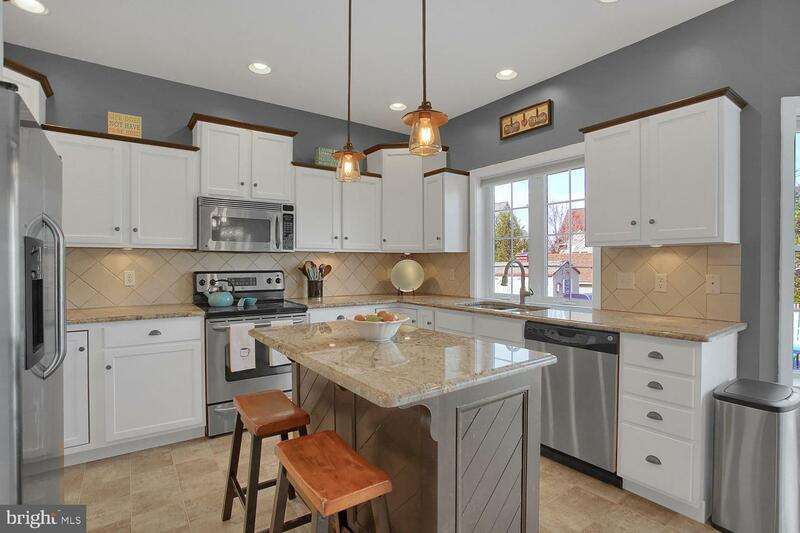 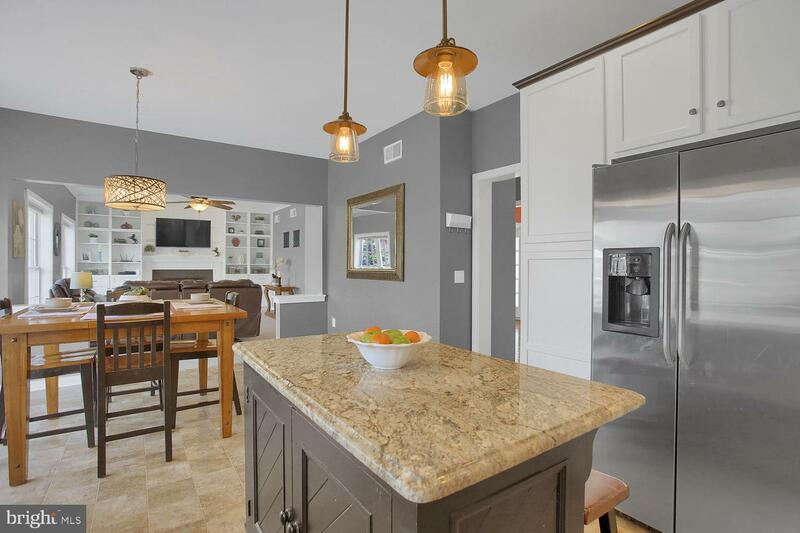 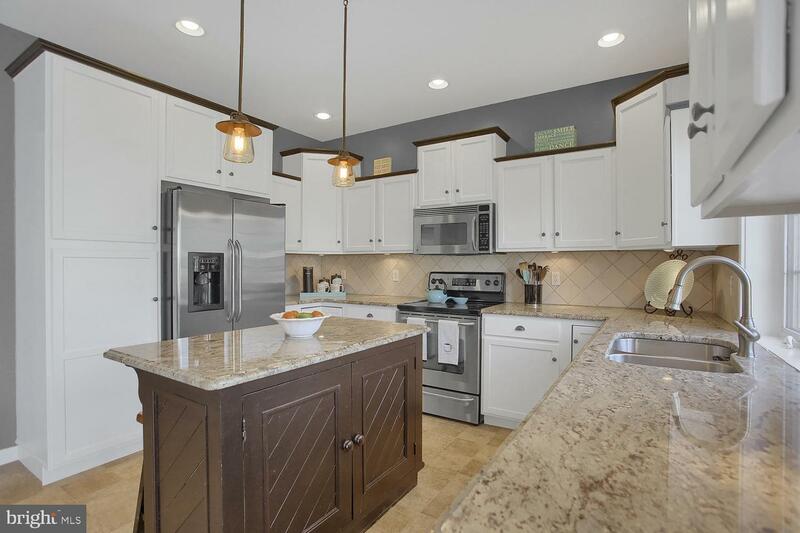 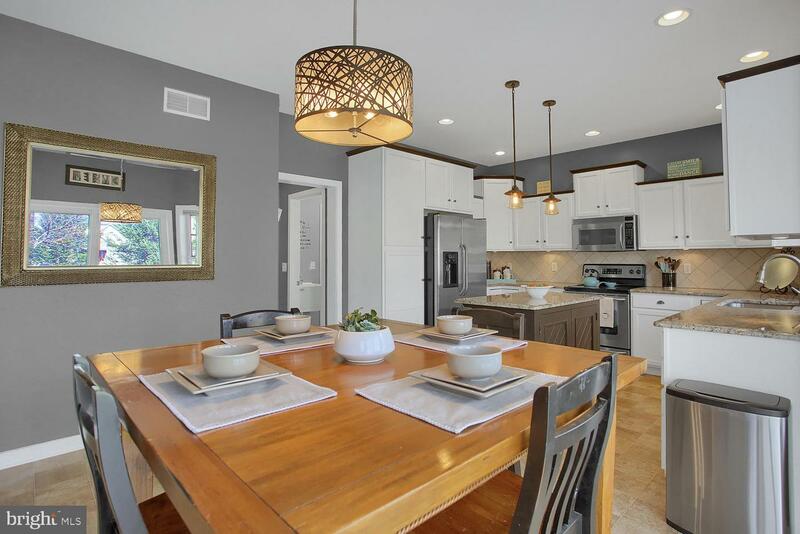 Moving into the kitchen~the heart of the home~granite countertops, beautiful cabinets with plentiful storage, and stainless steel appliances entreat you to linger a bit longer over a lovely meal or glass of wine. 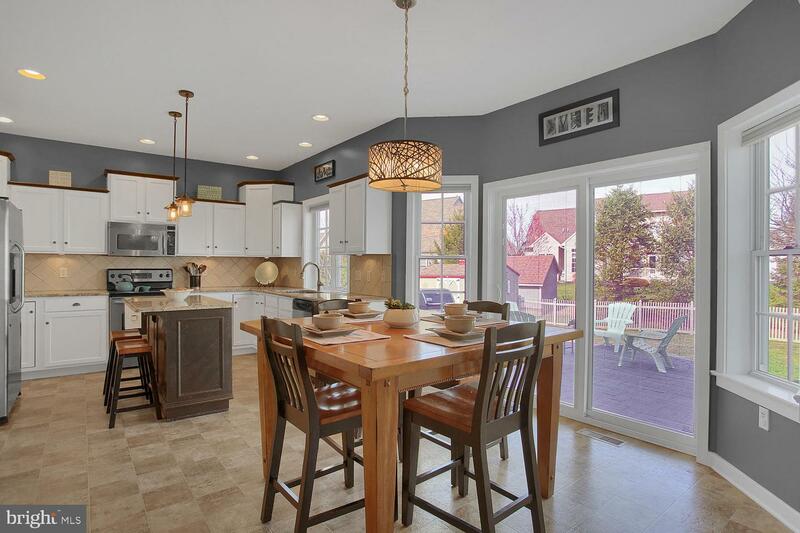 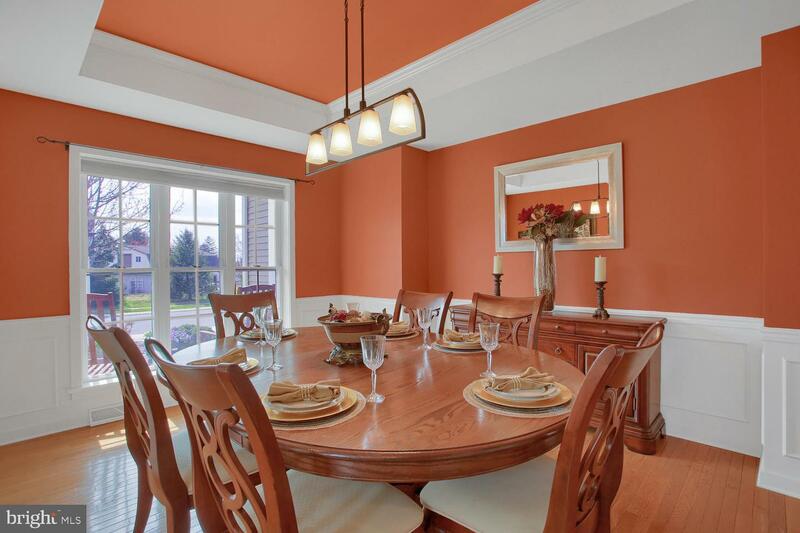 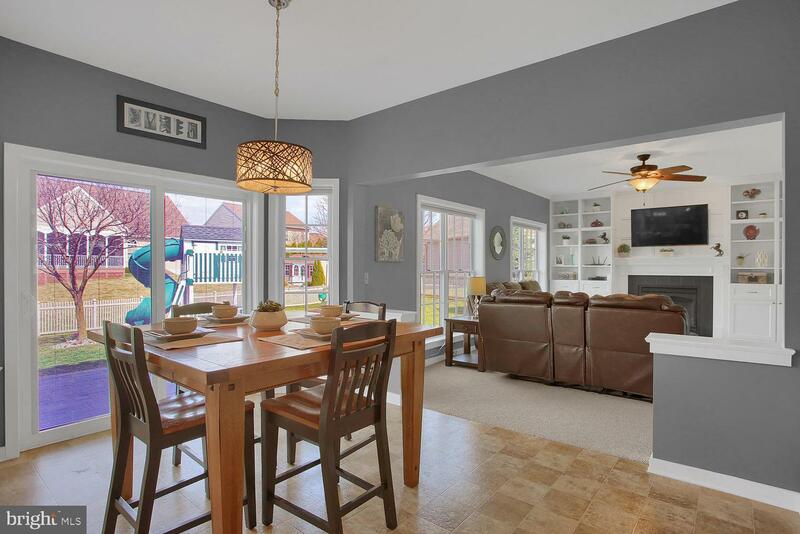 Enjoy a family breakfast or watch your kids do their homework in the eating area while you prepare dinner. 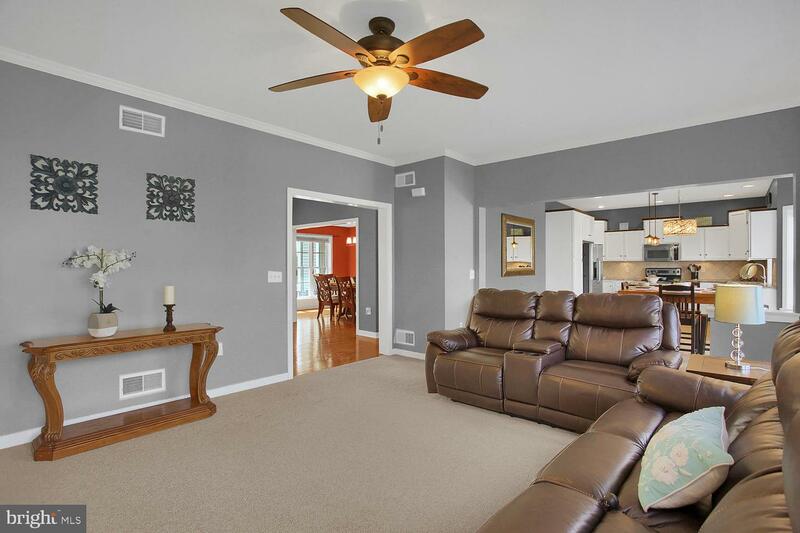 Let your gaze travel into the living room where sunlight highlights the hearth and graceful mantel. 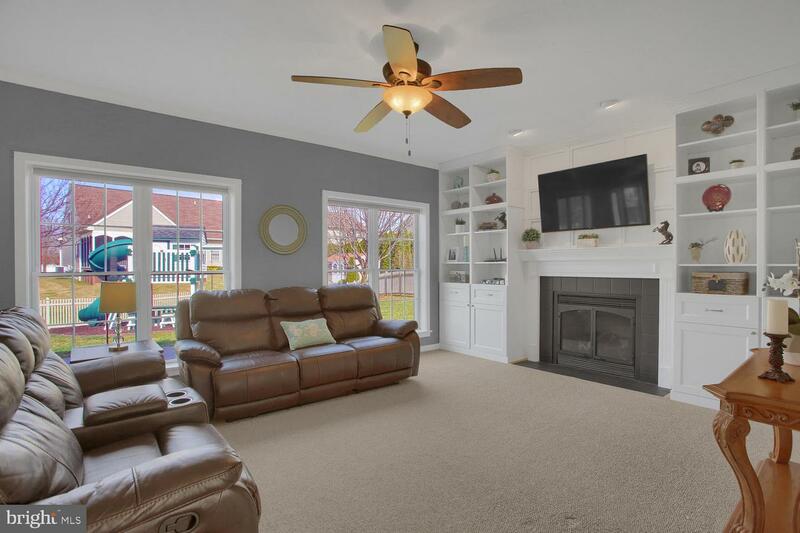 The fireplace is set between two custom built-ins. 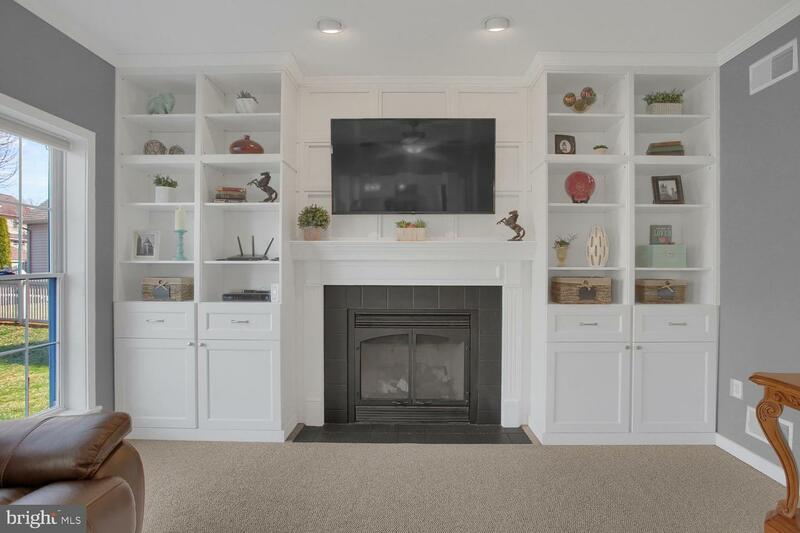 Adorn the built-in shelves with books and pictures and all the keepsakes that remind you of just how good life is. 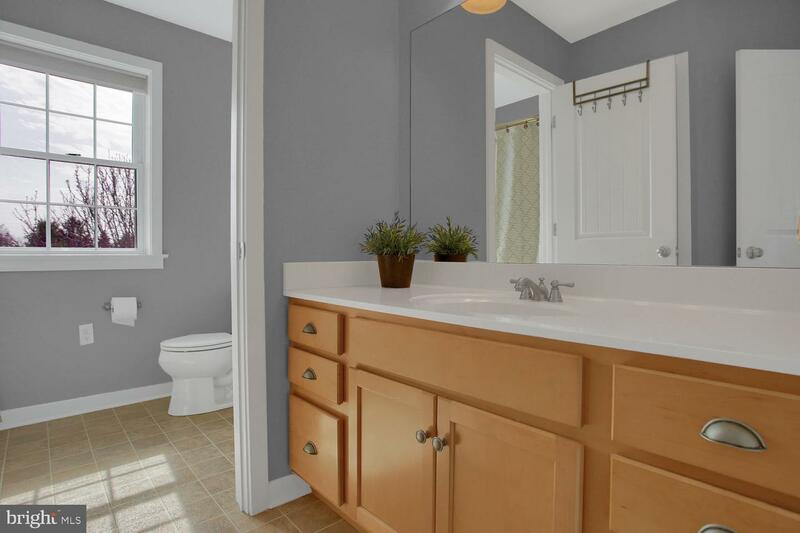 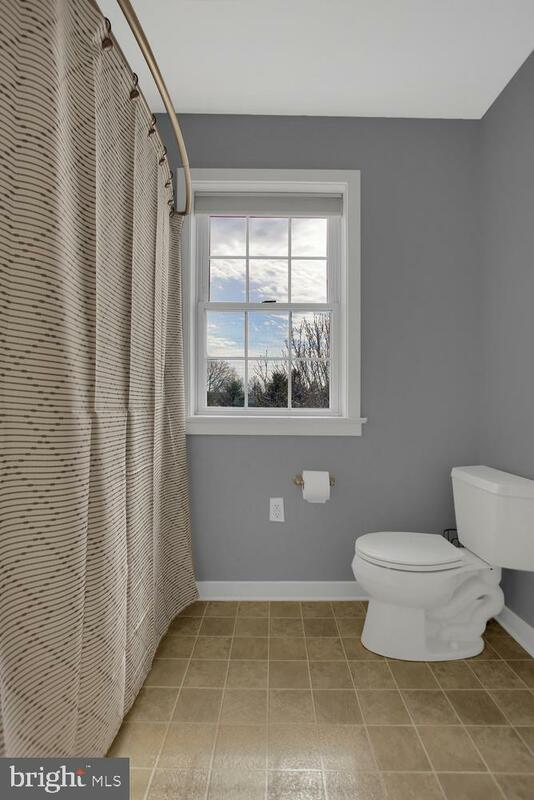 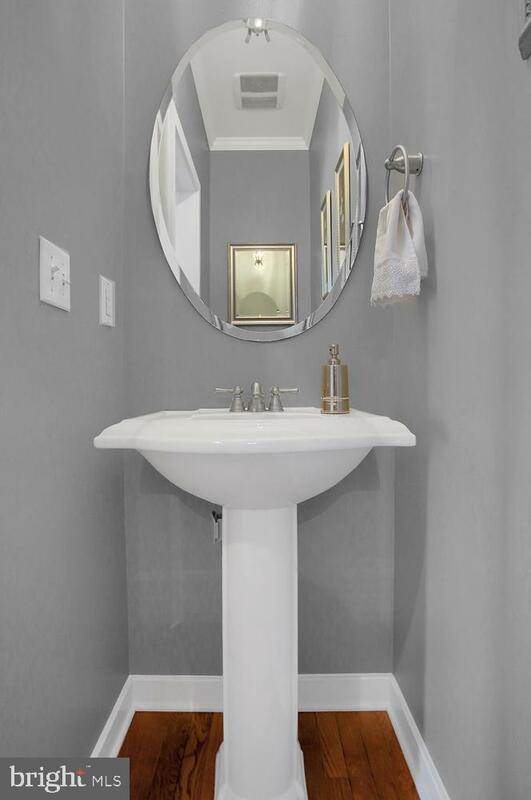 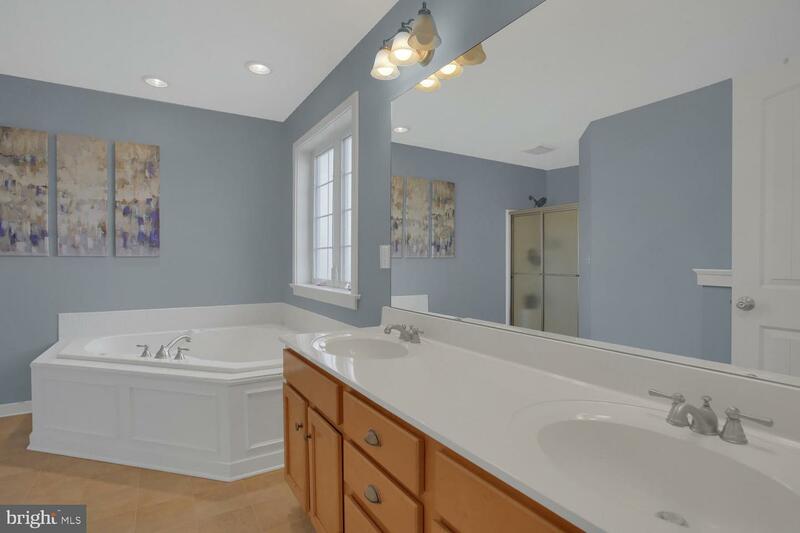 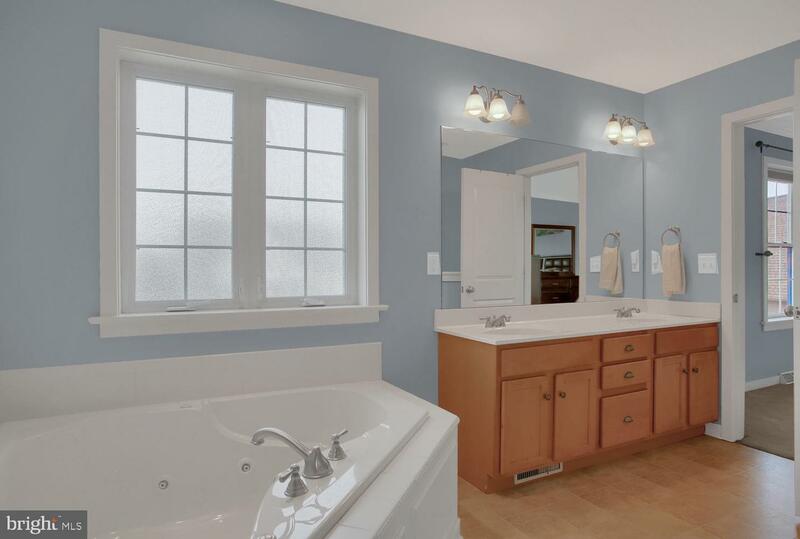 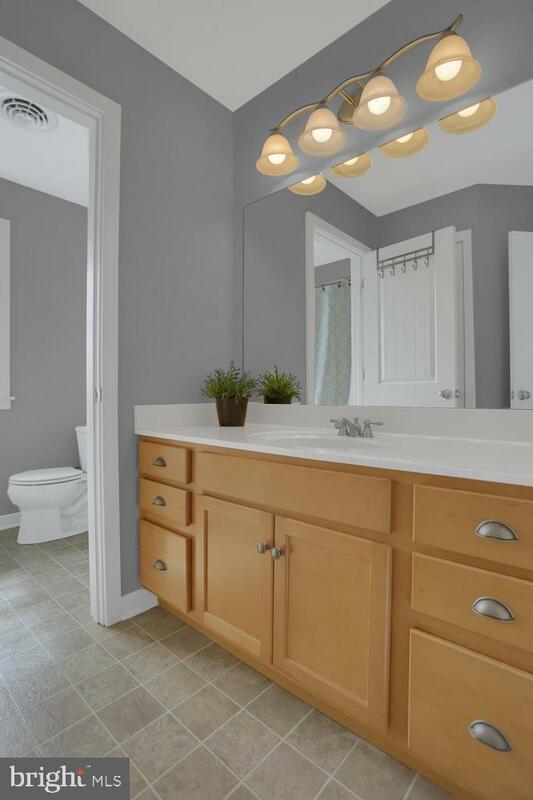 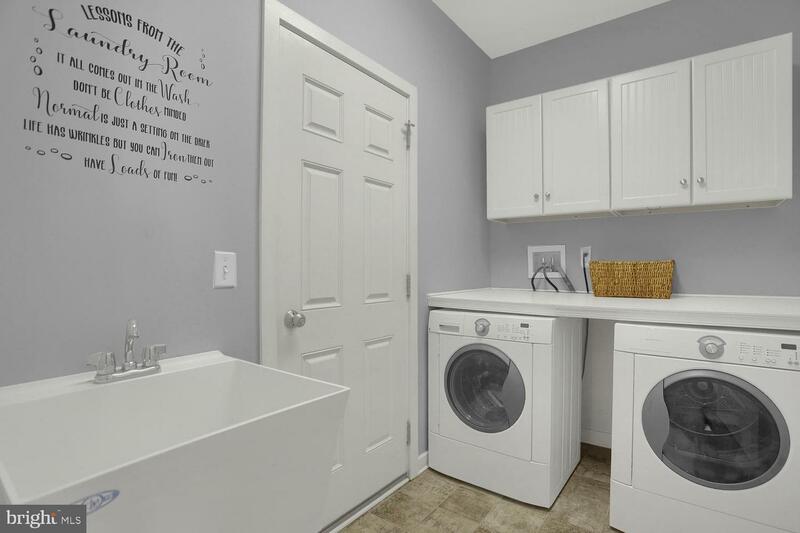 Also on the main floor, tastefully tucked away, are a powder room and generously sized laundry room with utility sink, work counter, and elevated storage cabinets. 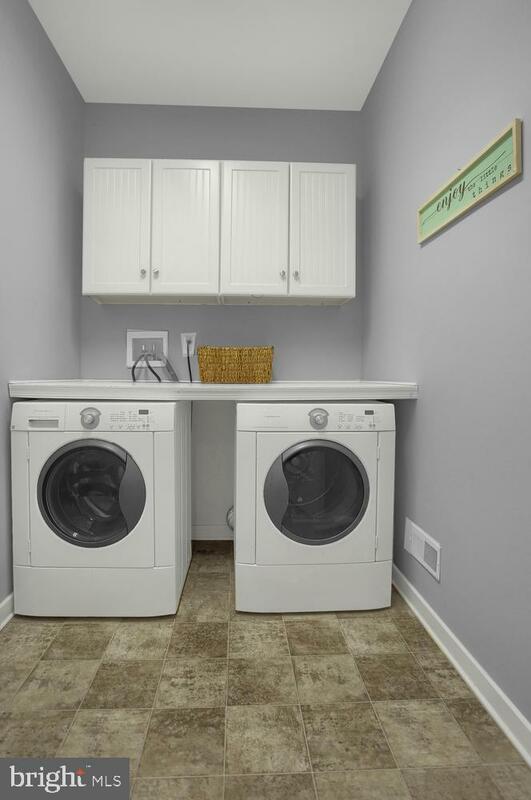 The laundry room provides access to a tidy two-car garage. 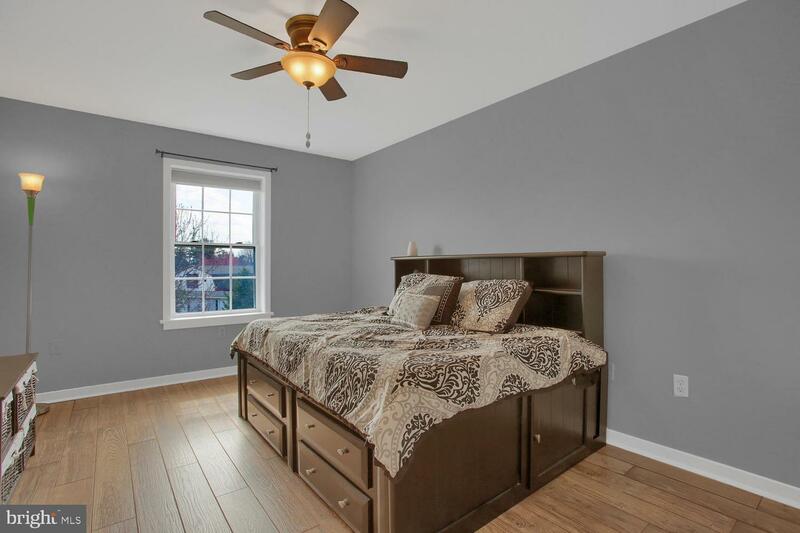 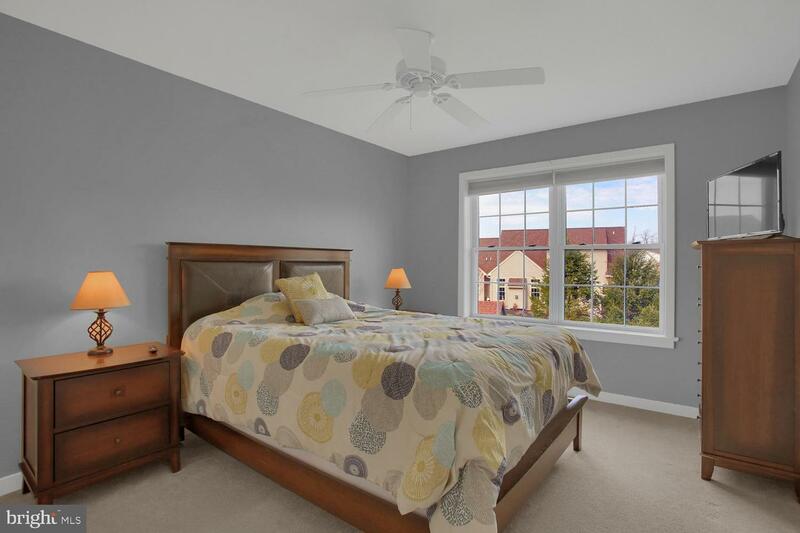 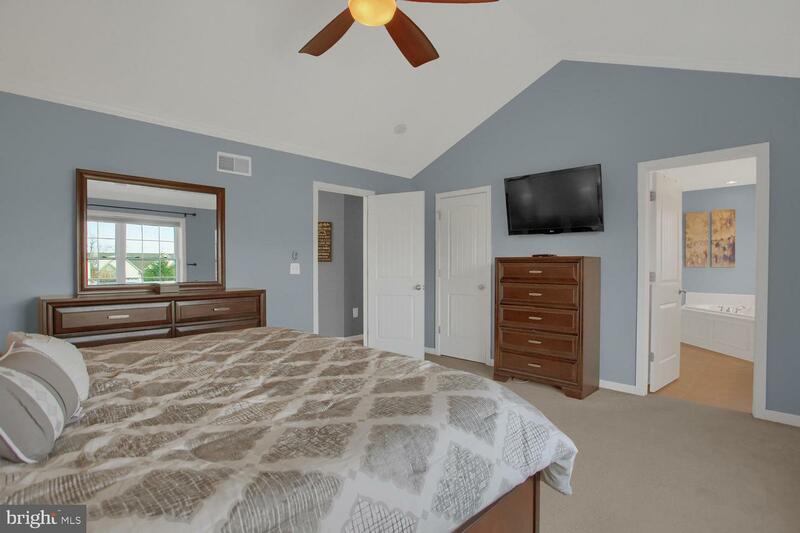 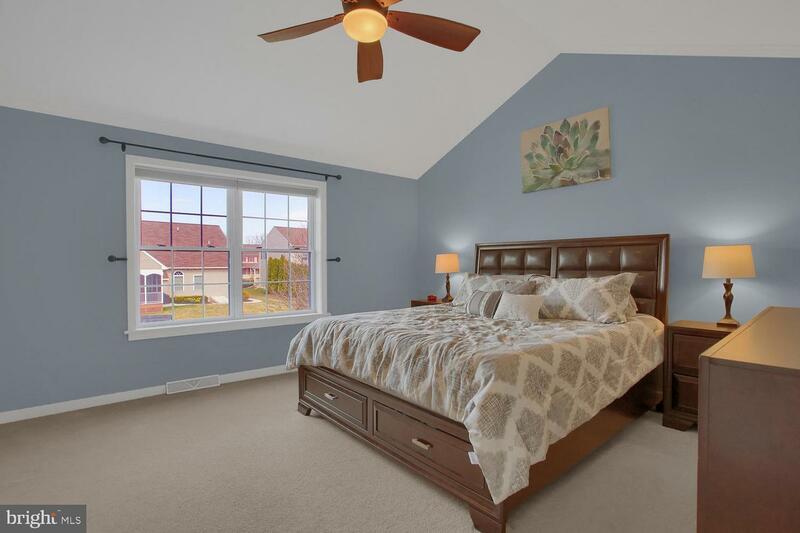 Upstairs, the master suite envelopes you in comfort with a whirlpool tub, a walk-in closet, plenty of breathing room, and a view of the back yard and the setting sun. 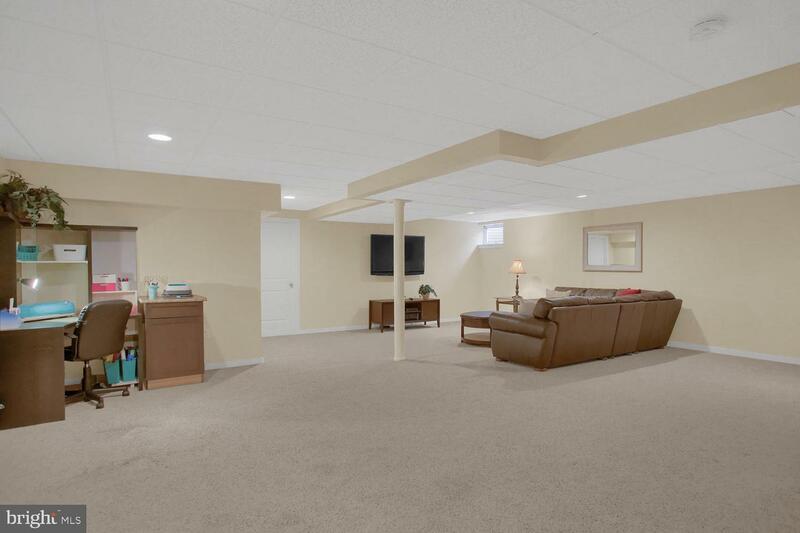 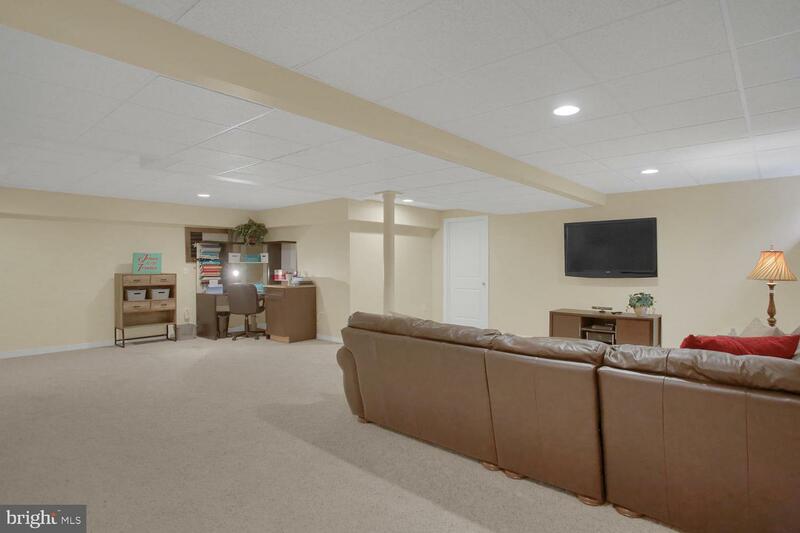 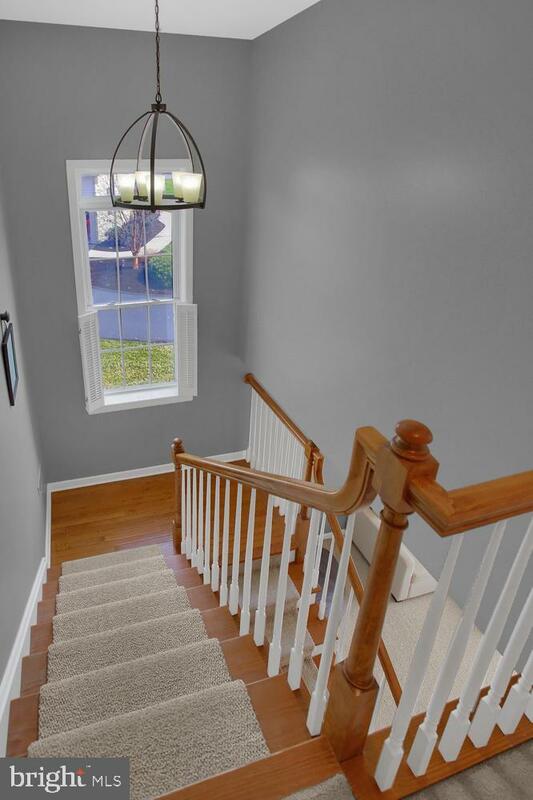 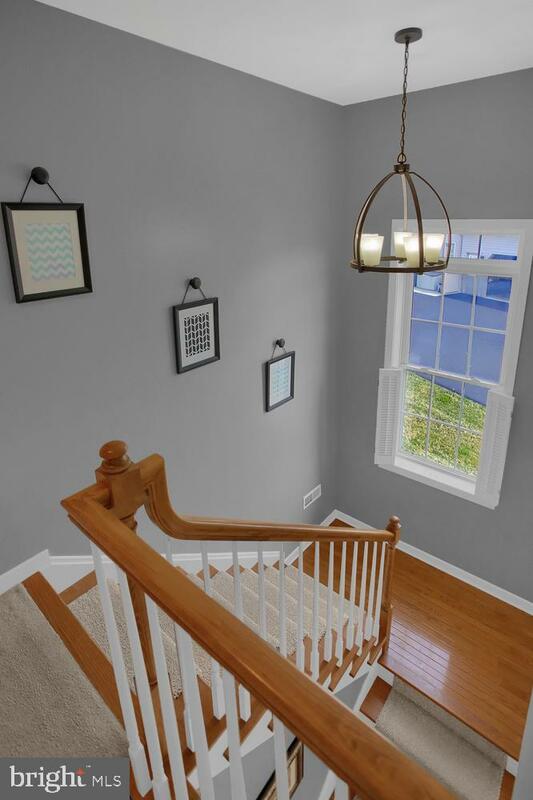 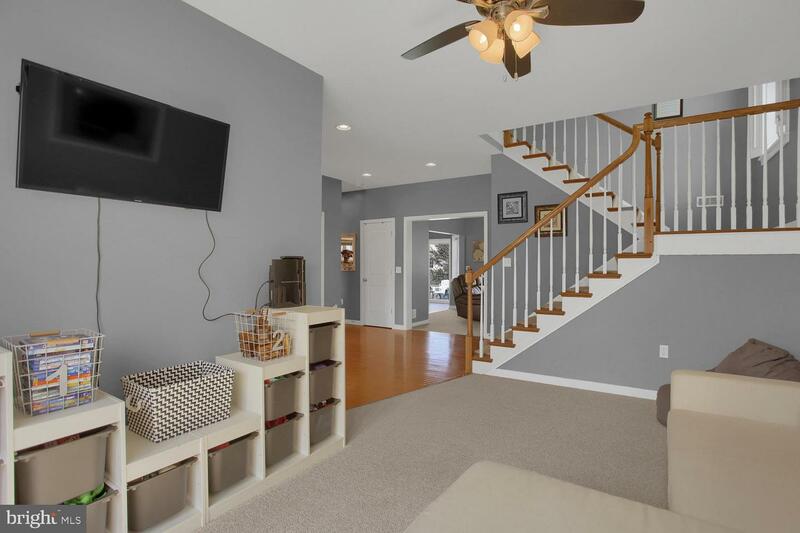 The remaining 3 bedrooms are spacious and airy, have an additional full bathroom and abundant storage, and are ideal for your children or guests or home office.The fully finished basement is carpeted, comfortable, and ready for game nights, Netflix binging, or even a home office. 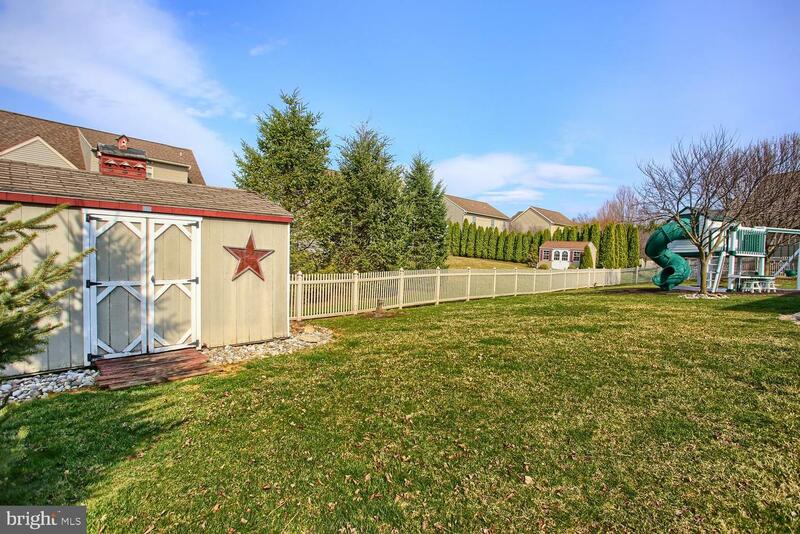 More fun is to be had in the fenced-in backyard. 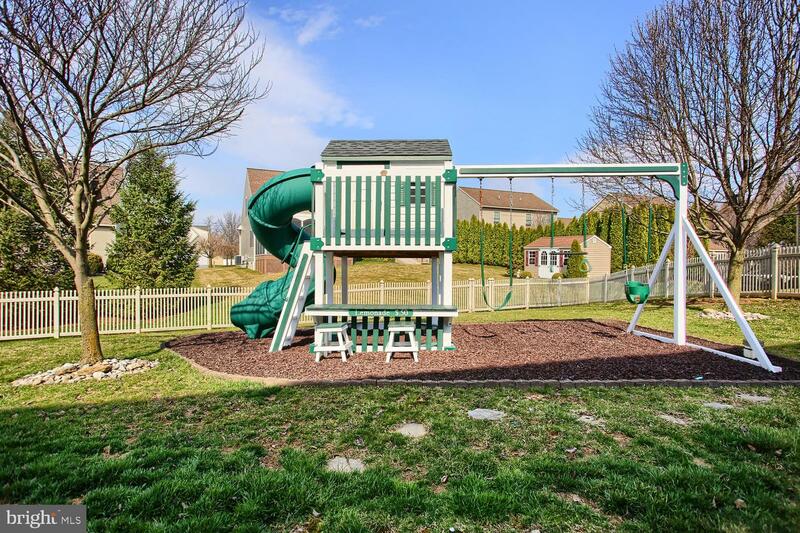 Pets have plenty of room to roam, kids have an engaging (and sturdy!) 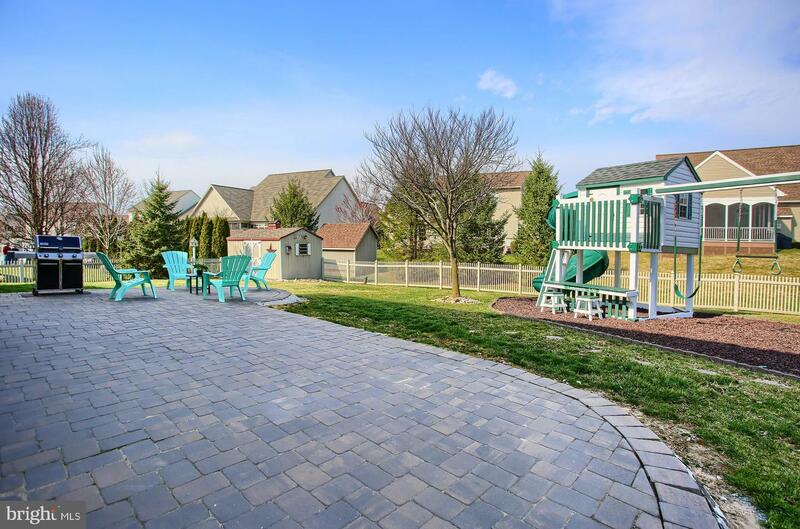 playset, and you have a broad patio where you can relax and savor the view. 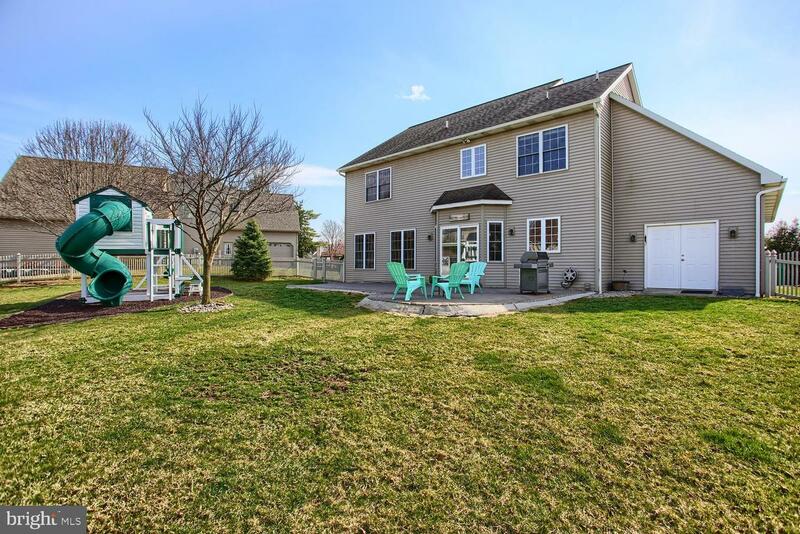 Situated in The Hamlet in Bird-in-Hand, this quiet neighborhood is close to farmers markets and theaters and restaurants. 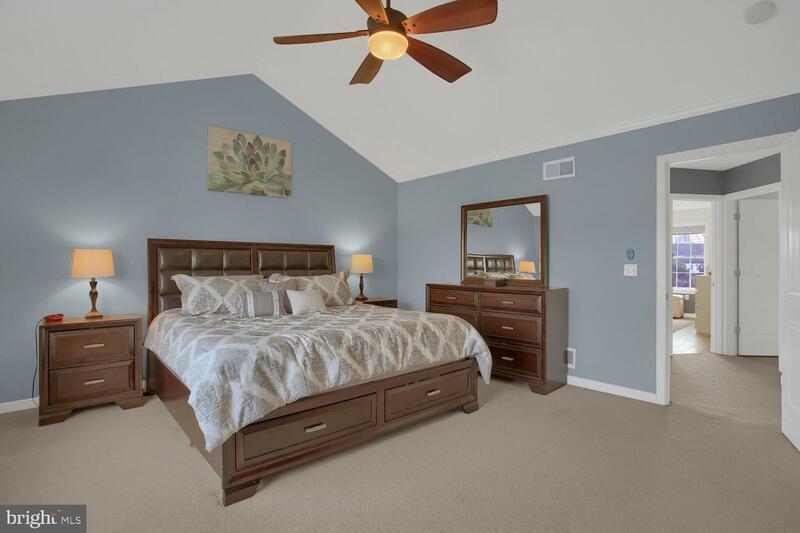 It is ideally located for entering into the hum of activity or escaping into the quiet of the countryside. 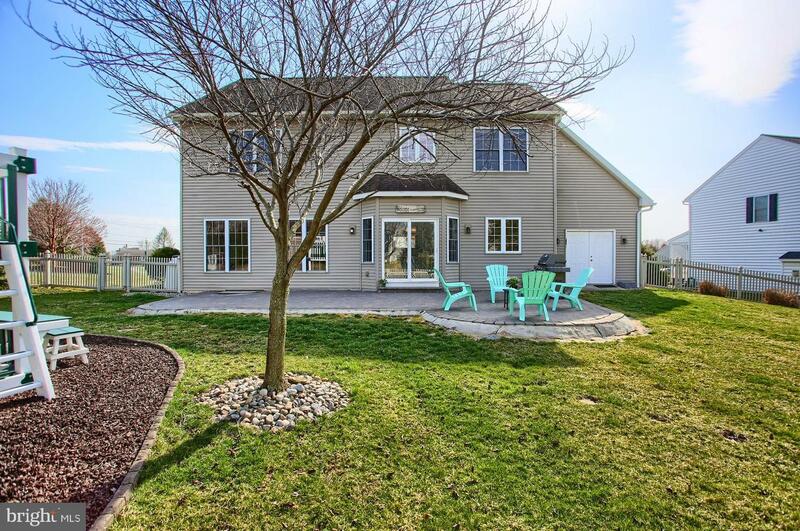 Come see this gorgeous home on Enterprise Drive and make Bird-in-Hand your new home.